There's nothing better than a cappella music for a good cause! This February, New York will host its annual SingStrong all-vocal festival, which features concerts, classes and hopefully plenty of charitable giving. The two day event will take place in Garden City, NY at the Adelphi University Performing Arts Center from February 9-11. SingStrong is a public charity dedicated to a cappella music and the arts and hosts this annual festival to spread awareness of vocal music as well as raise money for worthy causes like the Fight Against Alzheimer's. While event profits will be used to support these causes, the event will also host a silent auction Saturday night of the festival, for 40 minutes, where attendees can bid on merchandise, professional services (including mix sessions and headshots), hotel get-a-ways and much more. While charity will play a major role of the event weekend, attendees can look forward to a myriad of educational classes and performances by professional acts. Headliners include Freedom's Boombox from NBC's The Sing Off, Blue Jupiter, Stacey Kay and Stiletta, Canadian Jazz group FreePlay Duo, gospel group Resound and many more. Friday night, Feb. 9th, attendees will be treated to "ACA-IDOL" an X-Factor and America's Got Talent-styled competition featuring semi-professional and collegiate groups. 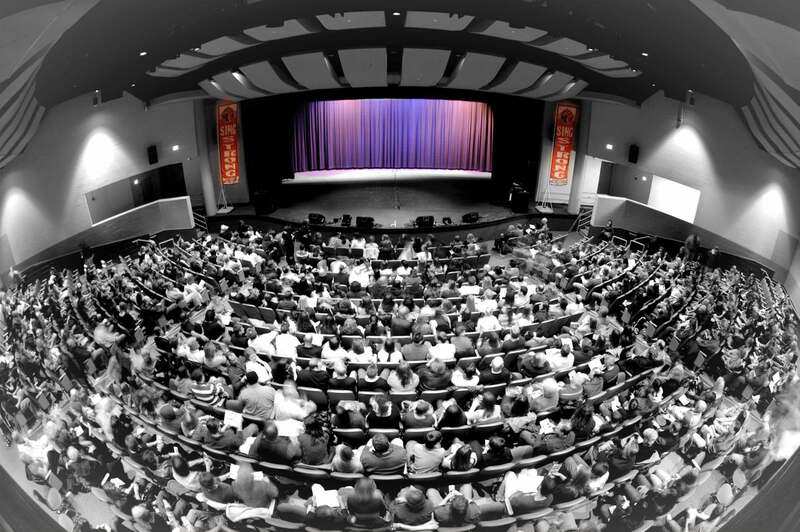 Similarly, the matinee show on Saturday will feature a high school competition with awards being given for various categories. Not interested in competing? Well, The Single Singers will also be recruiting individuals to join them for their performance on the mainstage during the event weekend. The group is open to everyone who likes to sing and who will be attending the festival. For more details, go here. Individual tickets range from $20-35, with weekend passes currently selling at a discounted rate of $75. For more details on the event schedule, tickets, performances and much more, visit the SingStrong website here. Don't miss out on this great opportunity to support this fantastic event!